In recent years, Thule has grown its product line significantly, staying true to their mission of helping you “bring your life”. The ability to showcase their products using printed graphics and physical displays had reached its limits, as a result they needed a new approach. 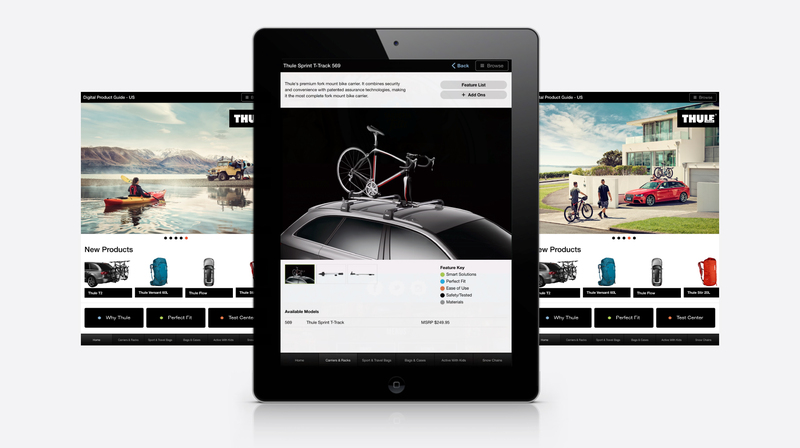 Thule gave us the opportunity to develop a branded touch screen experience. 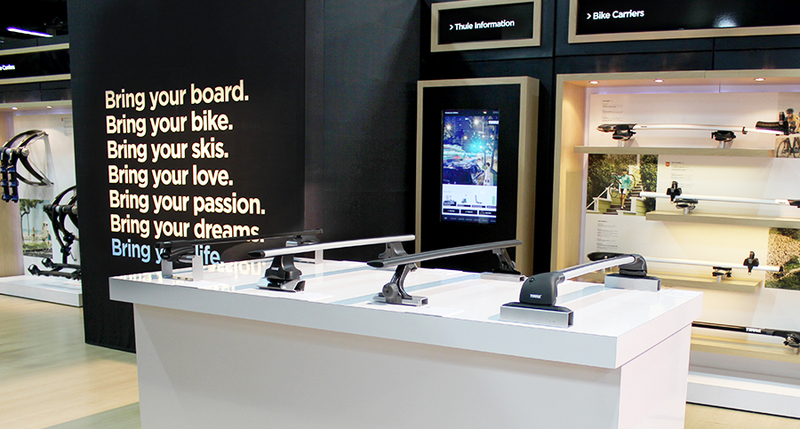 This experience would be used for industry trade shows as well as a stand along sales tool. 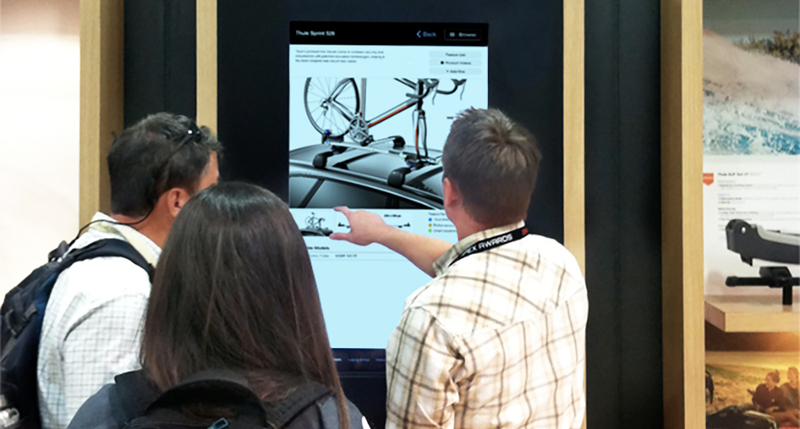 The application, which was developed to run on a 40″ television screen and an iPad, allows their sales team to provide a guided tour of Thule’s complete product line. Our team provided solutions for the UX, UI and development of the application. We also continue to provide support for updates and product additions.